On completion of my primary degree in chemical engineering I spent a number of years travelling. Last year I returned home to find a very a different economic climate to the one I had left behind in 2007. 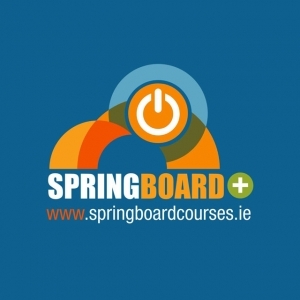 I felt I needed to give myself a competitive edge to differentiate myself from other candidates in the market, so when the Irish Medtech Springboard Quality Engineering conversion course became available I grabbed the opportunity with both hands. The course provided me with the opportunity to develop my technical expertise in quality engineering and gain an insight into the healthcare industry. The Irish Medtech Springboard Quality Engineering conversion course really broadened my horizons and employment opportunities, so much so that the day after completing my exams, Nypro Healthcare interviewed me for a Quality Validation Engineer position and one week later I started. Ruth Lloyd, European Talent Manager, Nypro Healthcare, talks about the value of supporting the Irish Medtech Springboard’s quality engineering internship programme. Nypro Ireland employs in excess of 360 staff at its manufacturing facilities located in Bray and Waterford and is the strategic European location for the Drug Delivery & Diagnostics segment within Nypro Healthcare. Our facilities in Ireland extend to over 350,000 sq ft dedicated to complex molding and high speed automated assembly of medical device and drug delivery products including clinical builds. Nypro Healthcare is the employer of choice sought by many students and interns. Nypro Healthcare provides its customers with a full suite of services from early medical device concept through to high volume production for medical device and finished pharmaceutical packaging. The ethos of Nypro Healthcare is Make A Difference and that difference is enabled and delivered by Nypro Healthcare’s focus on talent management and development. Nypro focuses on growing talent from within to support the technical needs of our business at a time where these skills are in high demand and short in supply. In addition to working with Irish Medtech Springboard on internship programmes, we also partner with a number of universities through student placements providing six to nine month work placements. Whilst these programmes are obviously beneficial for the students and interns they also provide a great opportunity for Nypro Healthcare to identify, nurture and grow potential talent for our organisation. It is through successful partnerships with Irish Medtech Springboard that Nypro can ensure it continues to be at the leading edge of medical device design, innovation and delivery.